Xbox Live Gold subscribers will have an odd set of bedfellows for their free titles in March, it has been announced. From the wilds of Pandora to the slightly less wilds of Victorian London, gamers will have a nice mix of adventure and looting to look forward to as the month goes on. 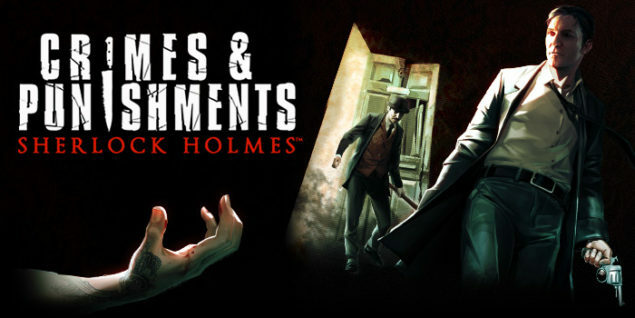 First of all, on Xbox One, players will be able to pick up Sherlock Holmes: Crime and Punishment and got largely decent reviews when it was originally released in 2014. The proper Sherlock, not the one played by Mr Cumberbatch, must solve a set of murders using only his wits and maybe the occasional glimpse at GameFAQs (or some equally useful site that people actually use in 2016). Why settle for a single retail title when you can have two for the price of one? Lords of the Fallen will also be available to download by Gold subscribers at no extra cost. The Souls influenced RPG was well received at release. On Xbox 360 and via backwards compatibility on Xbox One, players can expect a couple of titles to add to their collection, not least Borderlands. The first half of the month will see Supreme Commander 2 available to download, and then the best-enjoyed-with-mates shooter will be up for grabs from March 16. And remember, the backwards compatible digital version of the game includes all the DLC.